Submitted by mahoney on Thu, 05/22/2008 - 11:51am. Ramada Inn Hotels and Suites Across The USA including Alaska...The chain offers different hotel "tiers" based on price and services offered. Ramada Limited - budget-oriented properties, typically with no on-site restaurant, though a pool and deluxe continental breakfast are standard. 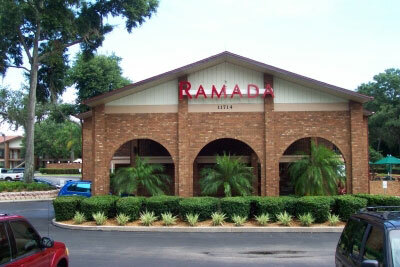 Some Ramada Limiteds consist of rooms mixed with suites, or are entirely suites. Ramada Inn/Inn & Suites/Suites - full-service properties with restaurants, exercise rooms, room service, and free breakfast items. If there is no restaurant on site, a convenience store is usually on the premises. Some hotels have mixed rooms and suites, and a few are entirely suites. Ramada Hotel/Hotel & Suites/Hotel & Resort -found only in Canada and international destinations, these are full-service hotels with room service, a full-service restaurant, and fully-developed fitness centers. Many of the international hotels also offer suites in addition to rooms, and a few have a resort and hotel together. Ramada Plaza - lower "upscale" properties offering business centers, full-restaurants, enhanced room service, and concierges at many locations.